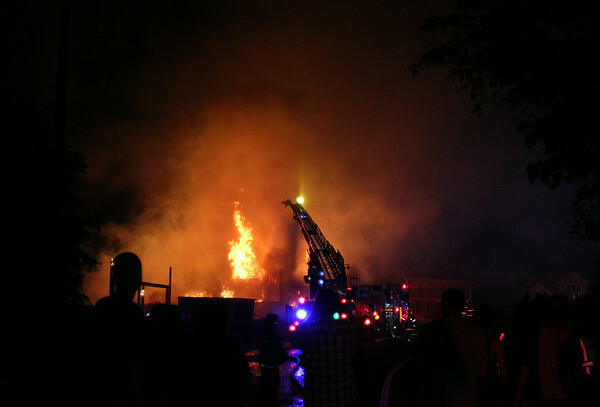 A raging fire broke out at 29 Folger Ave in Beverly late on Sunday evening. DAVID LE/Staff photo. 7/13/14.